HomeNewsAdultOnline English Language Courses … Book Now! RedBox puts its students at the centre of all it does. Taking the best from British and international education, students receive online English lessons and a progressive online curriculum for self-study allowing students to dictate their rate of progress. Students also have a personal tutor who works with them to understand their ambitions and set goals and strategies to achieve these. Each month students have a tutorial meeting to discuss learning progress both in and outside class. Students make more progress than they thought possible. 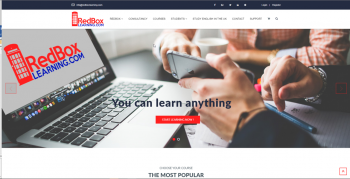 RedBox’s teachers have many years experience in education and are UK trained and qualified. Located in the UK and coupled with the high motivation of our students, we have the ideal environment for learning and we utilise the latest technology to help students learn more. This includes video feedback and online submission of work in addition to recorded lessons and resources in the student area. Whether looking to learn another language for work or play, or to gain a UK qualification for entry to university, RedBox is here to help.